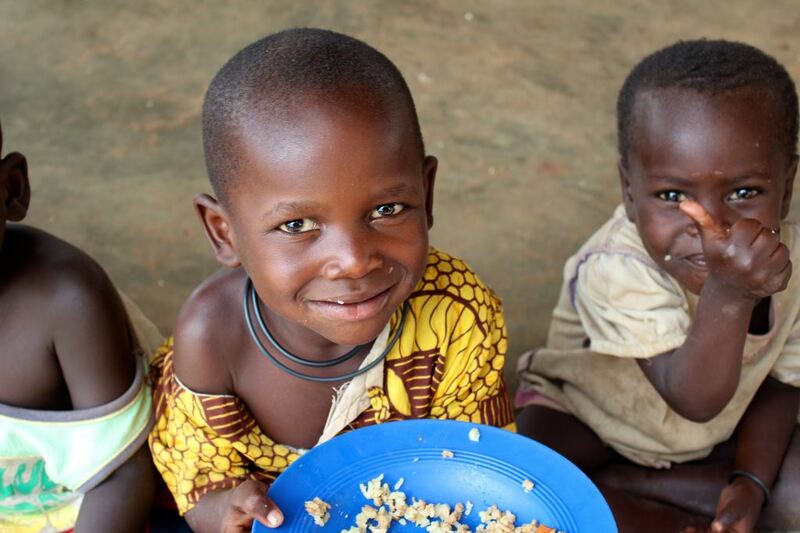 Happy at getting their tummies full are these youngsters from the rural areas of Malawi. Thanks Imperial Logistics! Three cheers to Imperial Managed Solutions which, working in partnership with a leading humanitarian aid agency, recently leveraged its asset light business model to successfully deliver food aid to drought stricken communities in rural Malawi. Imperial Logistics’ involvement in this humanitarian project started when the Southern African Development Community (SADC) Secretariat called for an urgent meeting with heads of industry, state representatives, logistics partners, global aid organisations and donors. “At this meeting, which Imperial Logistics was invited to attend, the impact of Southern Africa’s worst drought in 20 years was discussed, together with the challenges that would have to be overcome to move the required volumes of food aid,” says Imperial Managed Solutions chief executive officer, Johan Truter. “The biggest problem was that within six months, nine million metric tons of food aid had to be received through various ports into the SADC region and transported to various hubs in almost all the SADC countries. Last mile distribution would then take place within the different countries. All of this had to happen while already congested ports dealt with normal day to day operations and trade,” he says. Truter adds that Imperial’s response to these challenges was that if governments actively engaged the private sector on the undertaking, the end target was very much achievable. “The successful completion of the Malawi food aid distribution project has borne this out,” he says. Considered one of the poorest countries in Africa, with the lowest GDP per capita, Malawi has a predominantly agricultural economy and was especially hard-hit by the drought. “Lives were at stake in the country and as a result, much focus was placed on Malawi, with food aid imported via the ports of Durban, Nacala, Beira, Dar Es Salaam and Lusaka city,” says Truter. Imperial Managed Solutions’ flexible, asset light model proved the optimal approach to the delivery challenges in the country as it offered a temporary logistics solution that could quickly provide the required capacity for the vast volumes, but could be disbanded at the end of the project. Up, up and away go the Samils as they conquer horrendous road conditions in Malawi to get food to those in need. It is ironical that when food aid was being delivered to alleviate hunger caused by the worst drought in 20 years in this country, the rains fell and made it difficult for the Samils to get through. But they did. In just three weeks, Imperial was ready to help Malawi’s desperate communities with a solution that included 15 Samil vehicles, originally developed by the South African military to operate in harsh African terrain. In the short time available, drivers were trained for these specific vehicles, stand-by vehicles were arranged, permits were secured for five-months operation in Malawi, a mechanic was trained specifically on the Samils and controllers were upskilled to manage the project from in-country. Imperial Logistics initially established a base of operations in Blantyre but this had to be mobile to travel with the product to rural areas in Southern Malawi and provide a managed transport solution capable of reporting on daily operations and executing deliveries regardless of the weather or the terrain. Each capable of carrying between 7 and 13 tons, the Imperial Samils delivered more food aid into normally unreachable areas than any other vehicles used on the project. The Malawi operation was certainly not one for the feint hearted. 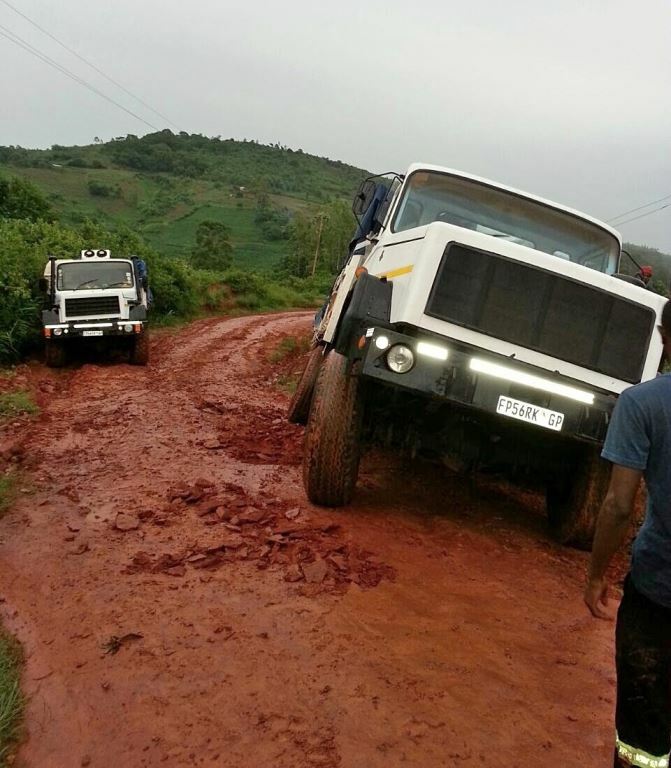 The decision by Imperial Logistics to use the legendary Samil vehicles paid off when the rains started in Malawi and many of the lighter trucks came to a halt in the muddy conditions. As this picture shows, it was pretty difficult even for the Samils but they all got through and delivered the essential food aid to the recipients. 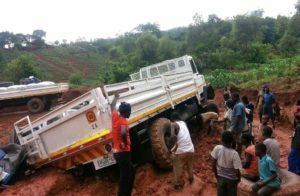 “When the rain started in Malawi, many of the much lighter vehicles were stuck at certain points but the Samils under load could continue and make sure that the vital food aid reached the recipients. And the project was a success,” says a happy Truter. What a great achievement this was. FleetWatch lifts its hat to all who were involved.